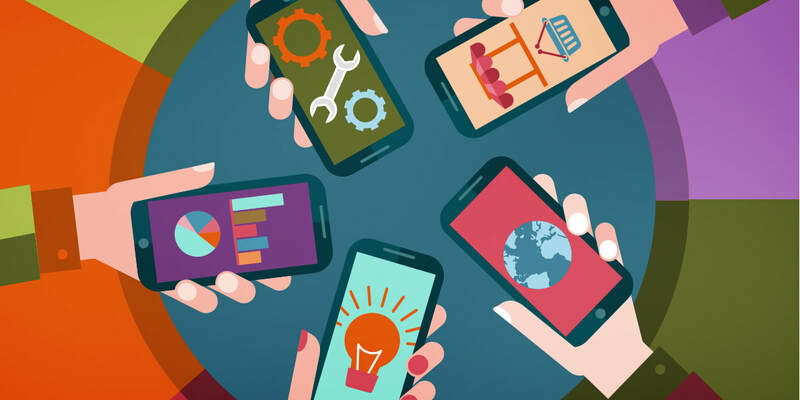 ​Before selecting an android app development company to develop your mobile app, it is crucial for you to gain knowledge about the key aspects that surround your mobile app. These characteristics can include objectives of your business, proposed budget and timeline. The most effective way to share information about your project is to draft an app Request For Proposal (RFP). Creating an in-depth RFP will assist you and your team in evaluating vendor replies and select the best partner to work on your project. There are many organizations who submit an incomplete RFP to vendors. Eventually, these organizations run the risk of receiving low bids from vendors, but as an additional task that wasn’t covered in the RFP rises, the cost gets increased. Even for such RFP, some vendors do not wish to bid at all. Here comes the role of design and discovery session. These sessions facilitate the organization to learn about their market and current business as well as give a clear idea of plan and concept for their product. Collecting the information offered during a Design and Discovery will lead to a detailed RFP that eventually lead to a higher chance of your organization finding the best suited vendor for your project. Why do you need a Mobile App RFP? 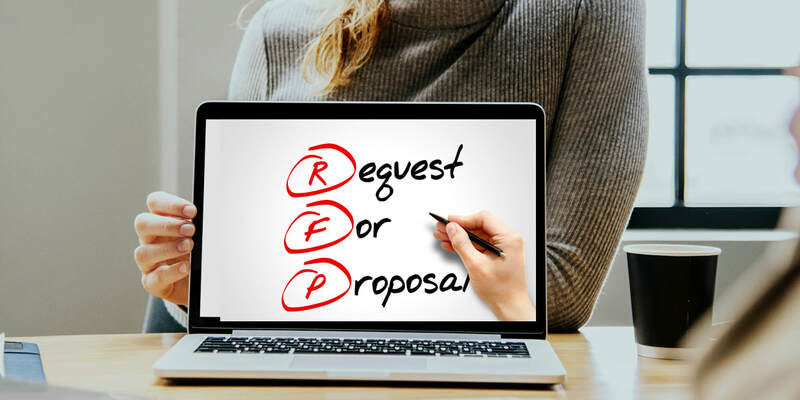 An RFP helps organizations to communicate the requirements to the vendor and if vendors did not understand the requirements of your product, they wouldn’t be able to meet your expectations. Hence, it is very important to communicate you need precisely, so your mobile app development partner can interpret your goals and meet your expectations. To draft the best possible request for proposal, you require having a detailed understanding of your product, what you are trying to accomplish within a given timeline, and budget. Without proper information, writing an RFP can create problems in the later stages of app development. What Needs to be Included in RFP? An effective RFP should have at the very least a summary, project scope, an overview of the company, budget and timeline. These are important aspects, yet many organizations omit these because of lack of understanding of these details. What will You Get from Design and Discovery? The Design and Discovery sections assist you and your stakeholders to set the goals for your project and understand the outcome of the business. At Panacea, we have a team of android and iOS app developers to tackle four major areas of product development: product definition, strategy, visualization, and presentation. We provide a detailed five-day discovery process that offers the information required to create a transparent and accurate mobile app RFP. Participating in a Design and Discovery gives you a chance to talk to development experts and ask questions to clarify your RFP. During the process of design and discovery, you can get a full understanding of the services you require. How to Utilize Design and Discovery to Draft an RFP? Once you have collected all the information required, it is important to convert those details into an effective RFP. A maximum portion of the RFO focuses on your business that will give insights about your organizations, objectives related to the product and where you stand in that specific market. As the detailed market research is occurring during a Design and Discovery processes in your business and your competitors, you will get the detailed information to offer a company overview that will allow vendors to tailor the app to your business and market respectively. The market research also enables you to make some crucial decisions like selecting a platform to develop your app on. Platform selection has a direct impact on other elements, including timeline and budget. A mobile app Request For Proposal (RFP) plays an important role in defining your project and choosing the right company to develop your iOS or Android mobile application. Don’t let your mobile app requirement incomplete on assumptions; get in touch with us today to know more about Design and Discovery process and how this will be helpful for you to draft an amazing RFP. A process of developing and launching a successful mobile product is long and has many features which can influence the results. The most important feature which changes successful mobile application development services is proper planning. Therefore, if you don’t know anything about your business intentions and the reason for launching a mobile product or value proposition, then it will become difficult to design and develop a useful product which can address both business and user needs. So, below are the given guidelines for impressive product design and discovery. The foremost thing one has to do is to decide why he/she wants to make a product, and what is a deciding factor for setting a goal for building a product. However, once the goal has been decided, then it will become easy to identify the strategy of making a product. Therefore, you should note down the challenges which you are expecting to face. Issues identified in the existing product or process should consider as the opportunity statements. It helps to show that if a problem takes more than an hour for processing a customer’s request, then the probable opportunity could find better solutions for minimizing the processing time for customer request. Once you have completed with mapping the entire process, then you need to find the experts for seeking guidance or assistance. There are numerous available options, and it would be wise if you find the professionals according to your business objectives. While teaming up with experts, make sure to check whether they are using the existing product or they are taking part in the existing service. Because an only professional expert knows the current trending process as well as which area needs improvement. It helps in prioritizing one value proposition where the value of the product can be defined in multiple ways such as cost saving, brand awareness, customer loyalty, revenue generation or competitive advantage. It also helps to understand the number of functionalities which your product needs to bring value in your MVP. In this stage, you and your product team is working hard on generating, capturing and prioritizing the prime feature of your minimum viable product. So, make sure that you list down all the features which you are looking to incorporate in your mobile app development because this helps to keep your MVP less cluttered. Therefore, you should only include the core feature of your product. With the help of visual representation, you can stay focused on the group of end users and their experience with your product. So, it is essential to think about how the final product can fit into your users lives right from the first moment. Therefore, an end user journey will also help you to understand whether you have any gap in your thought process or not. In the stage, you should be mapping a complete visual solution of both end-user interface and user-experience to understand, if the solutions are meeting the user's needs or not. This step will also help you understand the flow for app prototyping, which is the subsequent phase of product discovery. Given phase involves a clickable version of your mobile application. You can even use the storyboard as a basis in order to build a clickable and build-able sample for the product experience to demonstrate how it must perform. Right after completion of the prototype, you must begin to validate the final product by conducting user testing. There you can organize a focus group to collect honest feedback on your product where the focus group can also consist of an internal team member. So, ensure that you receive feedback on your app prototype. This way you understand the user interaction with your app, if they are dealing with the given issue or what they are feeling about their experience. So, for wrapping up the guidelines as mentioned earlier will help to make your mobile application development successful as well as it will initiate in offering right support for product development. People across the world suffer from depression, behavioral disorder and mental illness. Many of these individuals cannot even afford traditional therapy or do not have access to do treatment for numerous reasons. As per the recent data by Anxiety and Depression Association of America shows that 40 million adults in the US are suffering from anxiety disorder, and Worldwide stats show that about 75% of the people suffering from mental disorder and go untreated in developing countries, which even proves that the necessity of accessible and effective solutions for treatments. 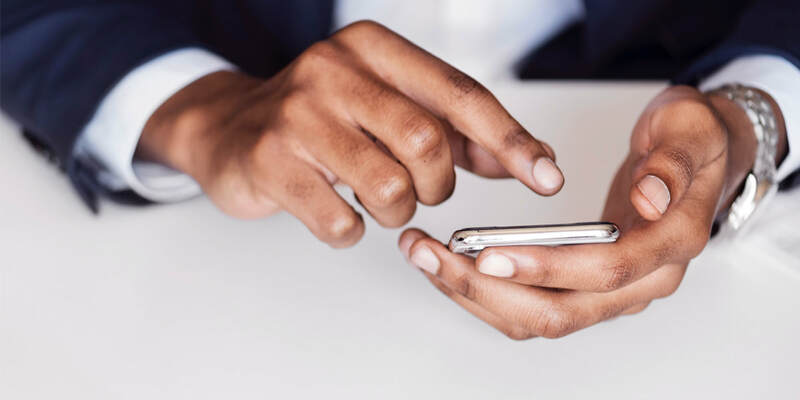 As per the research by digital due diligence firm onefourzero, in the UK demands for mental health apps has been increased by 566% between 2014 to 2018. The success of an app like Talkspace has also described the prospects of mobile mental health solution for businesses. There are numerous of tools and techniques which should be applied to modern mental health app, including cognitive behavioral and acceptance commitment therapies, customized settings, mood training programs, gamification and forums, and so on. Self-monitoring- People with a common mind-set use mental health app to explore their mood pattern and handle stress, where people with severe mental disorders also use these apps to track their symptoms and progress. For example: Eating disorder management app. It helps a user to conduct self-monitoring research and record meals, thoughts and their feelings. Notifications and reminders- The notification provide suggestions which help for self-monitoring where reminders suggest that users practice such as relaxation, walk and other things which are suitable for their psychological state. Busy users find it helpful to get the notification. However, a high-frequency notification may annoy the user as doctors suggest that constant notifications are a source of stress. Sharing- This feature lets users to share things on social sites to get support from friends or share directly with third-party healthcare providers, family members, etc. For example: iMoodJournal This app allows the user to share their mood on social media. Text/audio/video messaging and chats- It helps to communicate within an app via text messages where doctors are obliged to reply a certain number of times. An app also provides communication with therapists by audio and video messages as well as live video and audio sessions where it allows the user to choose the most convenient communication channel. A most popular way to monetize an app is an advertisement and paid downloads which are also common practice to pull new end users by offering a free trial period. For instance, calm it provides a 7-day free trial period to allow people to weigh the pros and cons of the app. In-app purchases: In this way most of the app features are free, but the user can only buy upgrades and additional items. For example: Moodtools It provides paid premium features like a huge amount of educational materials on different types of depression. Subscriptions- This app involves regular payment for regularly updated content. For example: Calm. This app receives revenue from its premium plan which includes also guided meditations a library of sleep stories and so on. Support groups- Some people support groups and find it helpful for solving their mental health problems. So, by sharing user experience in a safe and confidential setting, the user can gain hope and develop a supportive relationship. Therefore, a user can also take part in discussions which are monitored by the professionals. So, for wrapping up if you consider all these above-given points, then your iOS and Android mobile app development will be in demand for the people who are seeking for help because approx. 25% of the total people are detected with mental illness in their lifetime. 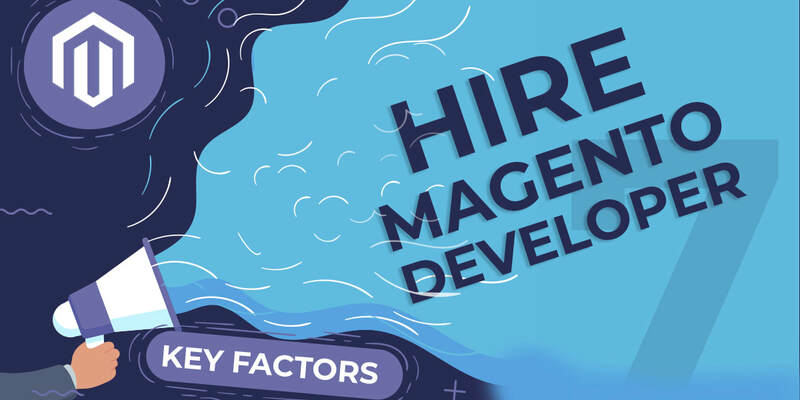 Most of the online merchants are aware of how Magento development services can help them because arguably, Magneto is the best e-commerce platform. It enables you to apply a lot of creativity while developing an e-commerce store as it also provides the flexibility, functionality, and community. Various eCommerce stores are developed on magento but it is certainly not that easy to develop the same. Therefore more and more merchants are opting Magento to offer their products and services to online shoppers. Today Google and Yahoo have incredible power in the online world. They are not only the way for all end users, but they are also a gateway for different sites. Higher the ranking of your eStore, higher will be the chance that more potential visitor will come to your store. There are still many non-SEO optimized e-commerce stores. So, if your websites don’t get enough traffic then do check your SEO strategy first because the keyword you might be targeting may not as common as they used in last year so, you need to update your keyword list. Therefore to increase your site visibility, its good practice to add keywords to your product pages. In Magento, you can do this by the access of product page in edit mode from the Admin panel. 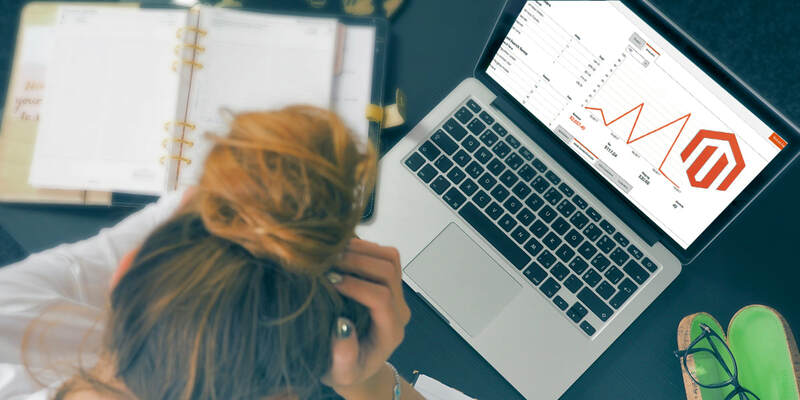 Nowadays one-page checkout process is highly in demand, where the necessity to complete multiple steps frustrates end users, which can even cause them to leave the website. Can remove unnecessary steps to save users time and make sure your checkout page has all the vital information. You can provide a guest checkout process as users prefer this option due to its ease. Can also add social media login feature to allow newcomers to register faster. Unexpected costs like delivery fees are also one of the main reason for losing a sale where the communicating shipping costs to site visitors will do you a right turn. When it comes to encouraging the end user to place an order, product description plays a vital role in it. Therefore it should be accurate and convincing enough to draw customer’s attention and answer all the questions about the product which may appear. So, the description should be unique, even if you sell the same product as everyone else. Henceforth doesn’t just copy paste the description which is sent by the supplier, rewrite it, and describe some essential details which no one else mentioned. You can even add a FAQ section at the bottom of the Magento e-commerce development page. Remember that your online store is different from traditional brick and mortar store, so it is important to educate them about your products through high quality images and videos. User’s reviews are an essential part of any e-commerce page. If it is not available in your e-store, then you might lose your potential customers. Therefore, it also helps you to build your trust with potential customers. As per the survey, it is found that people trust online reviews as much as their friends. So if you have a customer review section at your Magento store, then it will help to leverage the product reviews and rating extension to quickly to increase their number. So, there are tools which will help retailers to encourage buyers to leave their feedback by allowing them to write specifically about the pros and cons of the product, upload images and much more. So, for wrapping up, there are many different things which e-commerce website development owners must take to make their business succeed. So keep in mind the above given points to help new Magento merchants for eliminating launch and functioning their store. How to create your own real-time-app like Uber? Uber was released in March 2009 and has changed the way people think of a taxi and transportation service across the globe. It is still competitive and market leader even after 7years because the things that matters are quality of the services such a price, car quantity, on time delivery as well as the usability of the application itself. Uber did something unusual it has shaken the foundation of the conventional operation model of taxi service business. It’s enormous success reformed the on demand service market and has inspired the young talents to emulate the phenomenon. That is why so many companies are digging deep into Taxi Booking App Development. You need to build two different apps for developing an Uber like app. First is for passengers, and another one is for driver. · Register- A screen where a passenger can directly register from mobile app filling their personal email, social media account or contact number. · Booking interface- It is used by the passenger to enter their specific travel choices to call a cab or book it for another scheduled time. · Tracking- It allows end users to track the present availability of drivers. · Pickup Location- Users can comfortably set their pick up location from where they would initiate the ride using Google map. · Cab Type Preferences- A feature where the passenger can select the type of taxi they need. · Fare Calculator- Right after selecting the cab this feature enables an end user to calculate the fare for the ride depending on the distance. · Live tracking system- In this feature’ end user gets update with the live status of the booked cab which arrives at the pickup location. · Payment- Once the end user reaches their destination; fare gets detected through payment API and an invoice copy sent to the registered email id. · Split Payments- In the case of multiple passengers, this feature enables them to spit the fare. · In-app Messenger- It helps to maintain the communication between the passenger and the driver within app. · Discount- This feature offers a certain type of digital discounts. · Review and Rating- It helps the end users to give their input and the ratings. · Booking History- This feature enables the end users to track their booking history. · Gamification- Customer engagement feature helps to retain the end users through the dedicated offers, badges, personalized loyalty rewards, etc. · Register- One the account and profile are approved right after the precise verification by admin, drivers also need to register from the mobile app. · Driver’s profile and status- This feature enables drivers detailed verification to authenticate their information their status will reflect their live availability. · Ride Request alerts- It provides the notification regarding the new booking and routes which allows driver to accept or cancel the orders. · Price Estimation- It shows the order price with relevant deductions’ eligible through coupons and discounts. · Booking- This feature allows the driver to accept or reject the incoming booking requests where they can also see the details about the distances between pick-up and drop location. · Status- In this feature driver can also update the passenger about their booking confirmation, arrivals point as well as at the drop location. · Booking History- This feature allows driver to track the booking history to check the status of completed and cancelled rides. · Voice commands- This feature should be added in both drivers and passenger app to allow them to use voice command. Admin panel is a web-based tool which does not only manage drivers or passenger app activities but it also allows the navigational routes for drivers and helps them in analysing earnings and customer reviews. Therefore, the Admin panel works as a backbone of taxi booking app. Online cab services are mainly depends upon the GPS technology in order to locate the current position of the end user. So below are the given benefits of Geo-location Services and Technology. Identify the current position of the end users. Show available cabs in the neighborhood. It also suggests the best possible routes for the drivers. Calculate the fare based on the recommended routing. The login screen is the first screen when the customer uses your taxi booking app. So you need to be careful while asking your end users to build the profile with your app even before taking the ride. It provides in-app payments, which save end-users from the concerns of small bills, change availability and unexpected charges by the taxi driver. While booking a cab, end users usually get confirmation messages from the company and the driver. So in this feature, you may either select push notification or mobile SMS. However, push notification highly preferred for the quick notification. Uber has a vast user-base because of its effective and simple UI. Therefore your interface should deliver all information effortlessly and incorporate smooth interpretation of data. 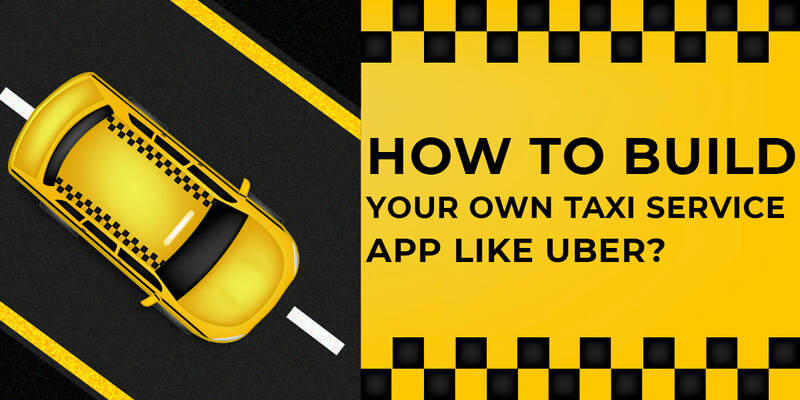 So, for wrapping up, if you want to replicate the uber app then you need to put a lot of insight, resources, and experience from the field of taxi-booking mobile app development because technology could be the best companion if it uses cleverly. You can even save your time by selecting the professional outsourcing partner for the development of the advanced taxi booking app. There is a drastic change in the mobile app over the past decade. Mobile application development has shaped up in our everyday lives ever since its emergence. Undoubtedly they are redesigning our daily as well as corporate tasks and helping us to develop an extensive network of professionals and innovators. With the competitive aspect, almost all the businesses are taking benefits from mobile apps by developing their mobile applications or hiring app development companies to stand amount their competitors. As per the report from PwC, 81% of CEOs approve that the mobile plays an essential part in their strategic decision making processes. One can start their market research with people pain points so pick the one that you can solve. To find proof that your idea is going to resolve an issue of society, Google trends will help to show you a percentage of people searching for the relatable term. Therefore, Google keyword planner is yet another tool to find fine-grained volume data for search phrase so based on your research data you can make your app better than expected Designing, development, marketing, and the overall business it all depend on how you research your idea. Since there are thousands of application over the play store and iTunes, it is most crucial to perform a competitive analysis of the existing marketplace. Competitive analysis is the evaluation of current applications which is similar to the one you expect to launch. Competitor’s web presence, their unique value offering, and their ranking and review are some of the main points which you need to consider. So always remember the aim is to present a new and rigid app to the audience which will keep them engaged on your app. 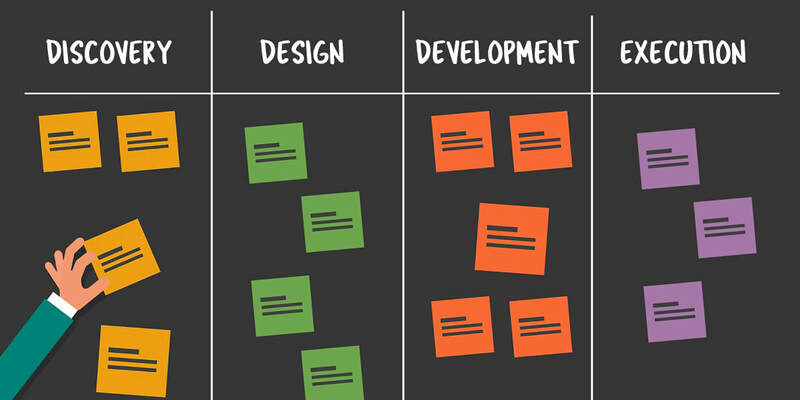 The journey of ideation to development’ is filled with so many ups and down. So when your app is about to handle a growing number of customers, clients or users’ it is utmost essential to check for its scalability. So prioritizing the scalability of the app will higher the readiness and lower down the enhanced cost along with that it intensifies its user experiences. As per the survey conducted by a private agency 61% of the end users won't give a second chance to an app if they had a first bad experience, along with that 40% of the users go straight to a competitor’s app instead. One has to be proactive when it comes to a key designing principle. Therefore, while designing user interface making your mobile application development aesthetically pleasing is so crucial. Be it a cross platform or native, your app needs to be interactive, attractive and user-friendly even as per the survey, the first impressions should be 94% design related. However Material design is one which is on the top of ongoing designing trends. So you might have seen Google also follow this design pattern where the most impressive feature of the material design is the layers because the navigation over the layers is pretty comfortable. So to get the best from your app, you can experiment with the hidden styles. Nevertheless, do keep in mind to simplify the app usage journey to excite the end customer. Measuring usability is the most significant task which helps to ensure that your application is perfect and has sufficient speed to offer security to the end user profile. Therefore you need to smartly use the potent combo of two tools which enable us to do the tricks of qualitative analytics and in app feedback forms. Qualitative analytic allows you to view how the end users are behaving within the app along with that it helps to understand what is precisely working in your app and what’s not. Henceforth most of the end users are willing to provide feedback to your mobile app usability. So you should make the process easy for the end users by introducing in-app feedback tools to organize an open seamless and real-time channel for your app users, where your user can easily share their opinion and question about the specific aspects of your application. Lack of quality assurance might force your end users to uninstall the app, right after downloading. When your users face problems like crashing, freezing or draining of phone charge. Also as per the record, it has found that about 44% of end user deletes the app when they face any issues. Therefore, your mobile app development team needs to be alert for performing app testing. 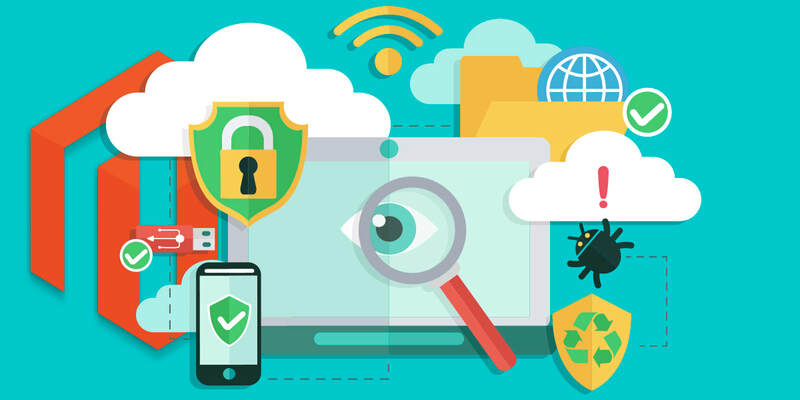 App security plays an important role, considering the amount of information your mobile app is containing. So you might have seen almost every app now asking for permission to access the link with other built-in features of your phone and create unnecessary log files. This also gives the chance to hackers to access the app and steal sensitive data. So, for wrapping up, you need to build some good practices to make sure your target audience always connects with your app. A mobile application requirement document is also known as a product specification document. It is nothing but a groundwork of your mobile enterprise app. It also gives you an outline of about business logic, enlists the technical detail and also works as a guide for your development team from initial concept stage to the endpoint. 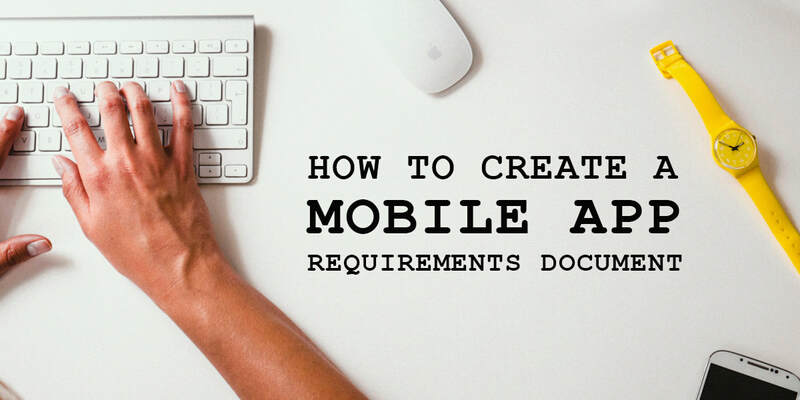 Why building a Mobile App requirements document is so crucial? For instance, you need to develop an enterprise mobile application, and you have described your need to an app development team. Therefore, when you see the developed version of your app, looks so different from what your company needs. Thus the discrepancy had arisen because the mobile app builder did not get a clear idea of your needs before he started developing the mobile app. Therefore a formalized document will undoubtedly give a more concrete shape to your idea along with that it also provides a clear picture to your development team so that you will be able to make sure that a mobile app developer understands your requirement thoroughly. The description of an idea should be provided in a single sentence. 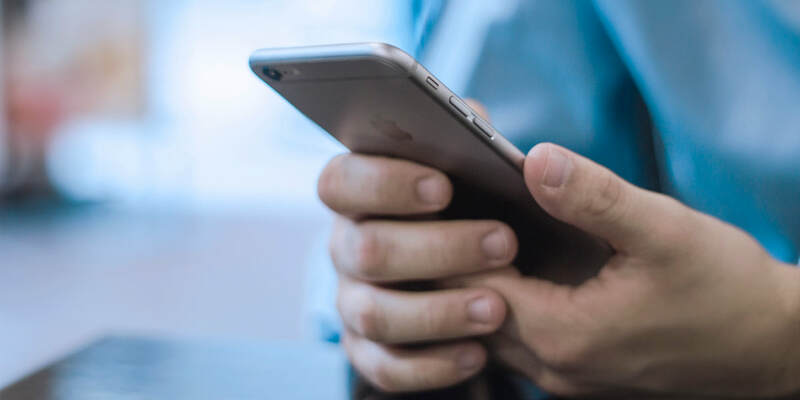 So that the reader should be able to understand the true purpose behind the mobile app and therefore connect with its usability almost instantly. Once you know about the basic navigation pattern, you will be able to describe the sequence the way end user going to explore it. So first you describe a bit about how the initial screens such as on-boarding screen and user registration screen etc. will be. Additionally, don’t ignore private policy and forget password features. See the applications which are already existing in the current market. So, that it will help you to identify what feature you would want to have in your application. For instance, if you like a specific element in an app, then you can even add it your mobile application requirements documents as well. Identify the priority features is play an essential role in developing an app. Therefore you should accurately convey your developer that what features you want to have and what all the features you can avoid or can consider as secondary. So that it can help the developers to identify what they need to focus on a priority basis. While making a mobile application development requirements, the primary focus should be on functions of the mobile app instead of the color of buttons, etc. because these details can be taken on a lesser priority. You can even skip this detail as an end user's priority to know, whether your application can solve their problems or not. Whenever you give the text to the developers, provide wireframes of the mobile application as well. If there are four or more wireframes screens, then you can create the screen map because screen maps complement the text in the requirement document even further. However, wireframes help in giving visual representation and helps the developers to understand the description in a more accurate way. The ideal approach for developing an application is on both the platforms however that not always feasible because sometimes you have to build for one platform and then introduce on the second platform, for a reason such as time constraints, budgets, and resource limitations, etc. Therefore, both iOS and Android offer different advantages but also attract different users. Once you launch your app in the market, you need to plan for the cost of maintaining your app to fix bugs and meet system upgrade requirements. Therefore, it includes a long term mobile app vision which accounts for end-user to demands improvement and new features interactions of the mobile app. The goal of creating a mobile app development requirement document is to provide a foundation for a successful product. So, mapping out business and technical requirements, dependencies, etc. will give you excellent information about the project. Therefore while development, questions are bound to come, even if questions are not answered in the document, still you have to make sure to add them to avoid any miscommunication. So, during the process of defining a product, it is always important to keep the focus on delivering higher value to the marketplace because it is easy to get distracted by competitors, vocal customers, and architectural issues.